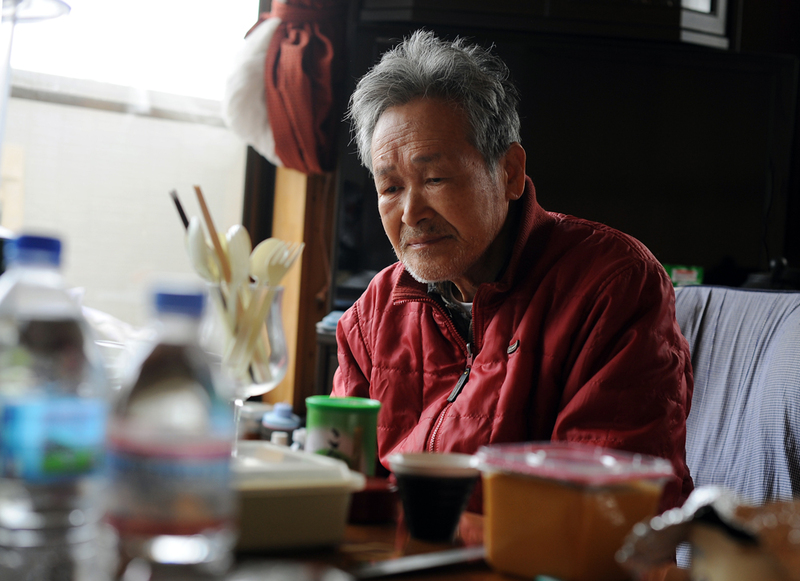 Seijii Hoshi (76) stays calm in a room on the second floor of his house with his wife at Ishinomaki, Miyagi prefecture. The first floor was destroyed by tsunami . His wife has a heart condition and can't evacuate to the nearby evacuation center. So he and his son take care of her although there have been no power,water, and gas for two weeks since the earthquake and tsunami hit the area.